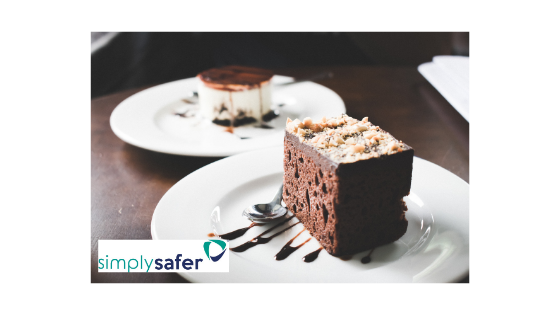 The effective management of food allergies is a serious issue with recent high-profile cases in the press highlighting how important it is to have robust procedures that are stringently followed within your food preparation areas. The Food Standards Agency has a wealth of useful information on their website that will help you to comply with the rules set out in EU Food Information for Consumers Regulations. I strongly recommend that you pay a visit to this site in order to ensure you fully understand your legal duties and know how to demonstrate your compliance. Handle and manage food allergens to avoid the risk of cross contamination. In addition, you have a duty to ensure your staff are trained about allergens. The regulations about how you provide this information to your customers can be confusing and depends on how you supply the products. It is always a good idea to take professional advice as non-compliance, even if accidental, can have serious implications for your customers, you and your business if something goes wrong. *Lupin is a legume and fast emerging as a ‘superfood’. However, lupin, and its’ derivatives, has been associated with allergic reactions for sufferers of peanut allergies. You need to consider the potential for cross reactivity if using Lupin in ‘nut-free’ recipes and products. As well as following the legal requirement, that you must be able to provide information regarding allergens in your product to customers, the management of allergens within the kitchen is also very important. It is important that you have a recipe for all of your dishes served and you must always follow these recipes. Ingredients must be properly stored in original packaging or in labelled containers, detailed information about recipes is required and you must always have processes in place to keep this information up to date. Some people are allergic to foods that are not included in the 14 ‘known allergens’ so having the recipe or ingredients list available is very important. Preventing cross contamination is an important aspect of managing allergens and there are different ways to approach this in your kitchen or food preparation area. Having separate preparation areas, tools and utensils is highly recommended. This helps to reduce the risk of cross contamination between foods. You must also manage the use of the tools and utensils effectively. For example, if you use designated chopping boards for the preparation of food within the allergen free area, how do you ensure that different allergens don’t cross contaminate on the same board? Similarly, how you cook products needs to be considered. For example, if you use the same cooking oil to cook gluten-free chips as you use to cook food which is NOT gluten-free, you cannot tell your customer the chips are gluten-free. As previously mentioned, ingredients and prepared foods must be stored separately in sealed and labelled containers. Think about where you store different foods on shelves in the dry store, for example, store nuts on the bottom shelves so if they spill, they will not end up in other products. Handwashing is vital when it comes to food hygiene and not only to prevent the transfer of bacteria and viruses. Thorough handwashing prevents the cross contamination when handling different products within the preparation and serving process. Always wash your hands before preparing an allergy free meal. I would urge extreme caution in making ‘free from’ claims about your products. The ability to create any ‘free from’ meals requires compliance with strict regulations about the handling and preparation process. In order to comply, you must be able to guarantee the food is suitable for everyone with an allergy or intolerance. If you are handling any allergens within the same kitchen, then you cannot guarantee there’s no risk of cross-contamination. Doner kebab meat is held together with yoghurt so take care of milk allergies. Canned tuna sometimes includes the milk protein, casein. Processed deli meats may contain gluten and soy, and cold meats cut on a slicer may have been cross contaminated with cheese! Worcestershire sauce often contains fish derivatives, as does Caesar dressing and lots of Asian dishes. Who doesn’t love a steaming hot chocolate? Take care if you have issues with milk, soy, wheat or gluten which are often found in hot chocolate powder. This article gives you an example of the things you need to consider when it comes to managing allergens in your food preparation areas or kitchen. It is not a comprehensive guide and does not provide full guidance that will ensure you meet your statutory obligations or fully comply with regulations. If in doubt, you should always seek the advice of a qualified and experienced expert. next post: Simply Safer’s Primary Authority.